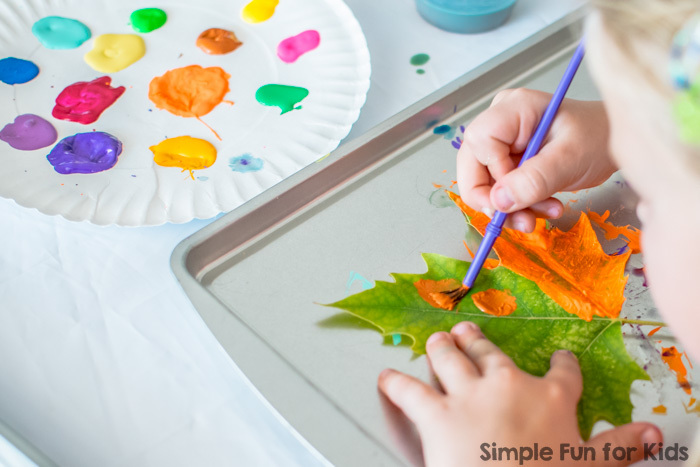 I recently saw a wonderful post on Coffee Cups and Crayons: Leaf Chalk Art. They have the same problem we have – a lack of fall leaves! 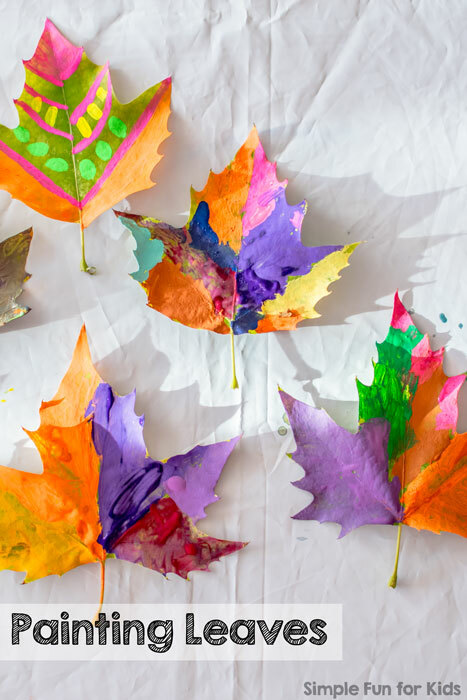 This inspired them to paint leaves with chalk markers. So beautiful! 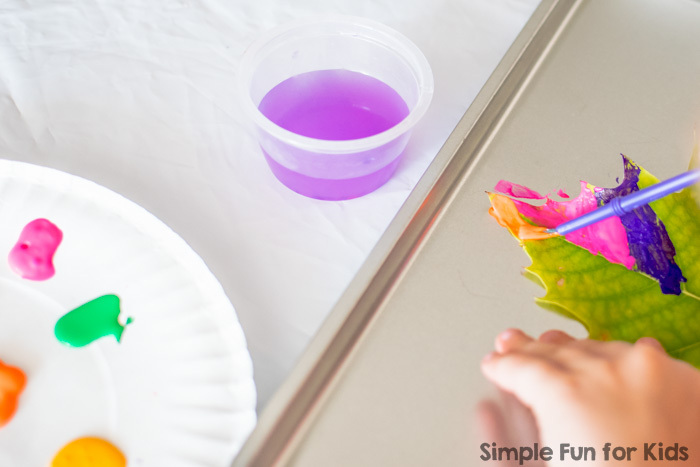 On our next walk, we found some nice fresh leaves and broke out our tempera and acrylic paint immediately when we came home. 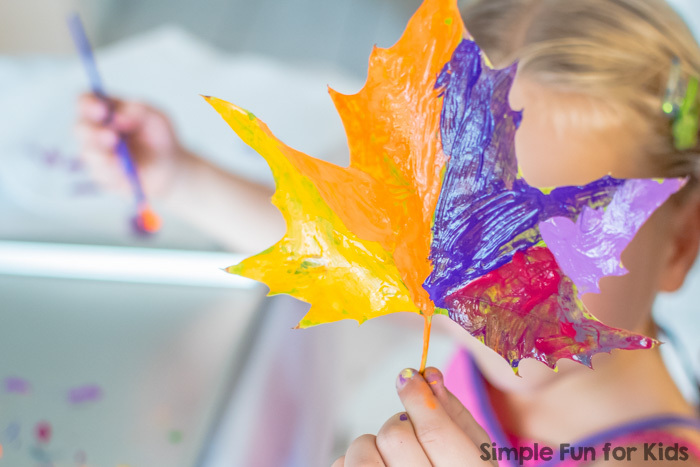 This Painting Leaves art activity was so simple and fun and had beautiful results! Tempera paint and/or acrylic paint. Tray, cookie sheet or similar to work on. Something to hold the paint. We like paper plates when there’s a lot of different colors and/or only a small amount of each color. For fewer colors, we often use muffin tins or apple sauce cups. E picked out all the colors she liked from our tempera and acrylic paints and squeezed a small amount of each onto a paper plate. She chose her favorite leaf and got to work. She really enjoyed the unusual painting surface and painted one leaf after the other. She was so proud of her artwork! E would’ve happily kept painting more leaves if we hadn’t already been late for dinner. 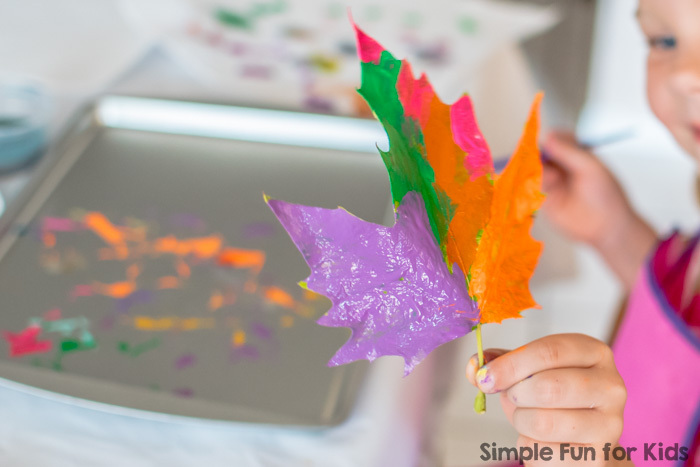 Have you tried painting leaves? 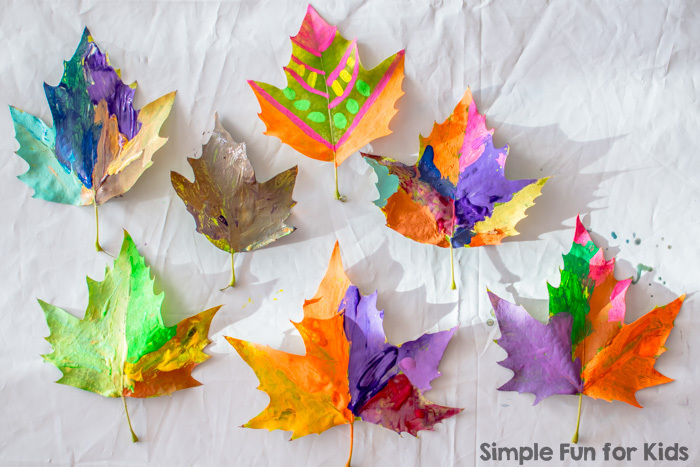 Do you have fall leaves where you live? How do you use them? Leave a comment below to let me know! 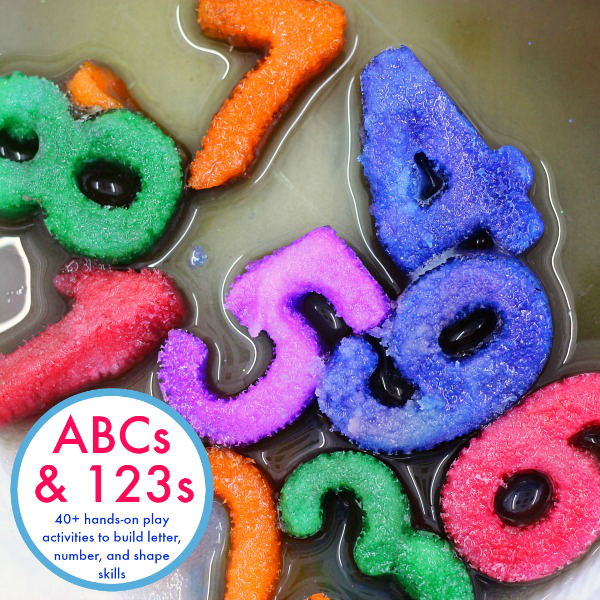 For a ton of art ideas for kids of all ages, go visit my Art Ideas for Kids board on Pinterest! 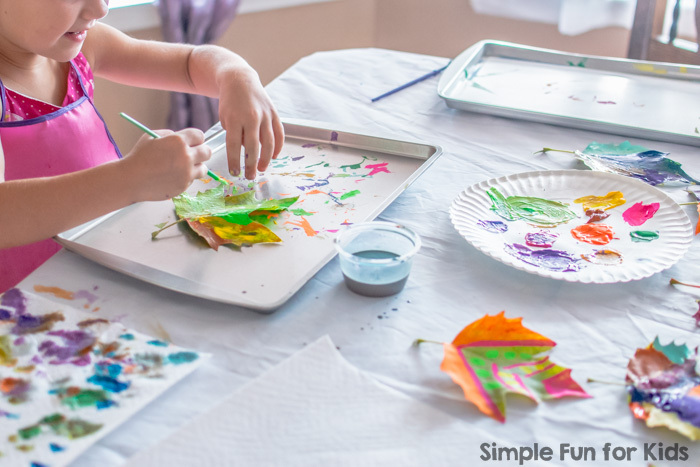 Follow Tina @ Simple Fun for Kids’s board Art Ideas for Kids on Pinterest. They look awesome! We are going to have to trying painting too! Thank you for the kind words and the awesome inspiration! We’re going to do this today. I wonder if Mod Podge would preserve them. They’re SO pretty. Great idea!! Awesome! Great idea with the mod podge, that may indeed work! Let me know how it goes if you try.